A homeless man, who goes by the name Adam, sold an old art print he found in a dumpster to an antiques store for $20. But when shop's owner Alex Archbold realized it was worth much more than that, he set out to find Adam, and give him his fair share. A homeless man in Edmonton recently learned that an old Disney art print he found in a dumpster is actually a rare and valuable piece of art. 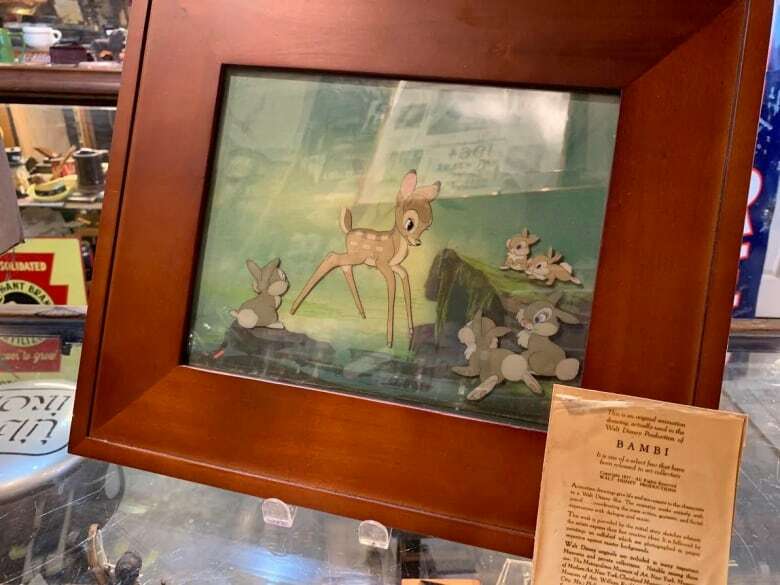 The man, who goes by the name Adam, found a framed animation print from the 1942 film Bambi while dumpster diving. 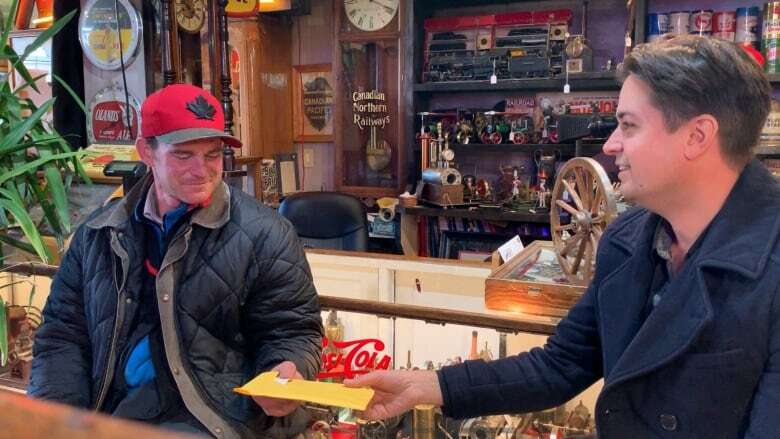 He sold it for $20 at the local antique store Curiosity Inc.
Later, the shop's owner Alex Archbold discovered it was worth a lot more than 20 bucks. So he set out to find Adam, and give him his fair share. Archbold told As It Happens host Carol Off the whole story. Here is part of their conversation. What do you remember about the day this man came into your shop? Well, it was not a day unlike any other. I was setting up, I was cleaning, and it's not unusual to have people walk in my store with treasures they have for sale. Adam walked in. I've seen him through the store many times before, so he's always a welcome sight. And what did he present to you? What he presented was a ratty old plastic bag with a few little treasures inside that he'd found in a dumpster. 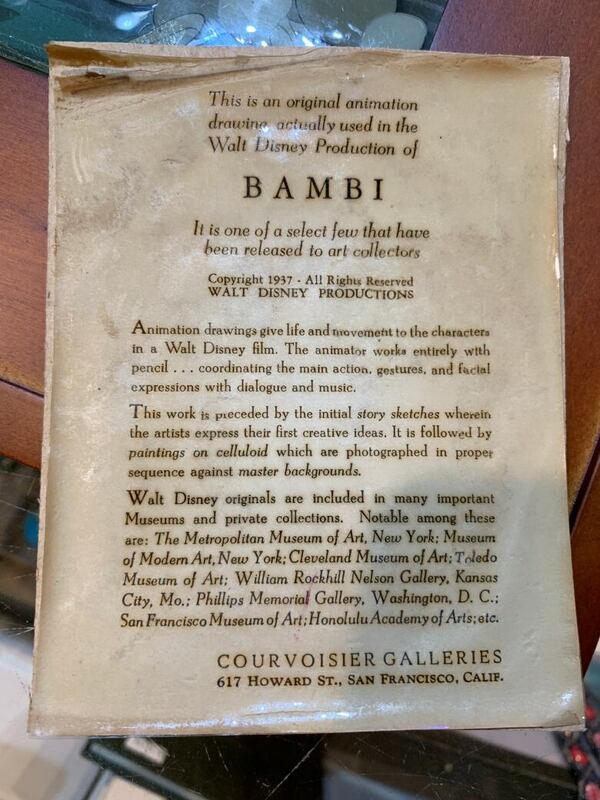 And one piece that kind of stood out was a picture of Bambi, in what was in a dirty broken frame. And why did that stand out for you? Well, I could see that it was an animation cell, so a frame of animation that are usually hand-drawn. My first instinct was that it's probably one they replicated in the 1980s and 1990s; it's sort of an art piece. And I thought, well, maybe if I got a new frame and cleaned it up I might be able to get 80 or 100 dollars' worth. We offered him $20 and he accepted, but I had a bit of a surprise later on. How did you discover what it was really worth? Yeah, so it's the scene where Bambi is just born and meeting his forest friends and he just meets Thumper and his family. [It's] an iconic part of the movie. So you figured it was worth more than the $20 you paid Adam? I wrote a gallery in the U.S. that had one, and they were asking $3,500 for theirs. And that's when I knew that I way underpaid. So I vowed that whatever I would get, I would give [Adam] half [the money]. So you put it up on eBay — what did you get for it? We ended up selling it for $3,700 Canadian. Then you had to honour your deal, right? And give half of it to this man? Getting him the money was difficult because he has no home and no phone number. I took it upon myself to drive around town for a period of two weeks every single morning before work to try and find him. I found two of his friends; they told me that when they saw him next they would tell him to come in. And sure enough, he walked in my door. How much money did you give him? $1,600.35, and I gave him an extra $100 and took him out for lunch. He's a very humble and nice man, and he was silent. He was tearing up a little bit. He said, "Is this a joke? Is this for real?" And I said, "It's 100 per cent for real." He couldn't understand why I was helping him, and he even offered to give me the $100 extra back. He was such a kind guy. I think he's got great strength of character. What did he tell you about what he's going to do with that money? He checked himself into a motel so he had somewhere warm to sleep that night. The next mission for him was to try and get identification. I took him to the bank and helped him get a bank account set back up. The long-term goal, and we're doing a GoFundMe for him, is to reach out to family in Ontario, get him a plane ticket, and find him a place to live so he can be safe and off the streets. Written by Jeanne Armstrong with files from The Canadian Press. Produced by Ashley Mak. Q&A edited for length and clarity.